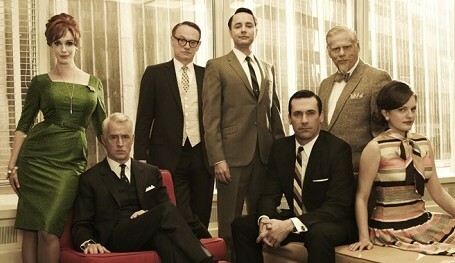 Matthew Weiner’s Mad Men is the perfect Old Fashioned cocktail. It’s two dashes of 1960s sartorial genius, ¼ ounce of feminism, ½ teaspoon of politics and one lemon wedge on the rocks. Sunday’s season six premiere continued to show Weiner’s ability to connect two societies separated by 50 years. It continued to show Jon Hamm’s portrayal of Don Draper, the war veteran turned salesman turned executive adman. It continued to show the evolution of women like Betty, Megan, Joan and Peggy. Season five ended with a woman in a bar asking Don if he was alone, and season six started with Don reading Dante’s The Inferno. The opening shows him vacationing with Megan in Hawaii, and the final scene closes in on him sleeping with his friend’s wife. Weiner gave us the not-so unexpected: To see Don with not just one woman, but two. The season six opener focused on character development, too. Megan struggles with separating from Sterling Cooper Draper Price. Peggy still pitches ad ideas, but she represents the trend of independent women working the Big Apple. Roger seems to be in a midlife crisis and lectures his psychiatrist during a Freud-like session. Betty explores issues with her marriage, weight and raising three kids. Don’s still, well, Don. Weiner subtly draws comparisons between modern society and the counter-culture of the 1960s. There are revolutions in politics, fashion, marijuana use, gun violence, women in the workplace and medicine. Audiences see connections of Sandy Hook and the Colorado movie theatre shootings with the assassinations of MLK and JFK. We see men’s fashion trends in today’s GQ and Esquire mastered by the 60s admen of New York. The embarrassment of Vietnam coincides with the war in Iraq. Wiener displays the lows of 1960s American culture with the lows of the 2000s. We see it in Don’s dialogue.